He’s not the only Republican governor who has abused his office to destroy political enemies. Whether Christie is simply a bad manager who hires horribly, or a far more seriously flawed figure, is the subject of intense debate. As New Jersey Senate majority leader Loretta Weinberg said several days after the governor’s marathon press conference, “The issue has grown, and the unanswered questions have multiplied.” Weinberg, a Democrat, represents the region that was gridlocked and has taken the lead in demanding a full inquiry. New Jersey’s Senate president, Steve Sweeney, was wise to name the veteran legislator to lead a bipartisan special Senate committee with subpoena power and a charge “to get to the bottom” of the scandal. The New Jersey Assembly has moved to expand an already opened probe, and the US Attorney for New Jersey has launched a “preliminary inquiry.” These state and federal investigations, along with belated media scrutiny, should reveal a good deal more about Christie. Whether or not his aides and allies ever face criminal charges or the governor himself becomes even further entangled in the scandal, it is hard to imagine that the revelations will improve an image so tarnished that Bruce Springsteen is singing parody songs about New Jersey’s payback politics. Americans—even very conservative ones capable of making excuses for the misdeeds of very conservative politicians—ought to be united in the determination that this is not what they want in their president. inger Jr. called an “imperial presidency,” many states have seen the power of governorships expand exponentially. Governors shape and implement budgets with bottom lines in the hundreds of billions; they oversee vast bureaucracies; they often play central roles in the gerrymandering of legislative and congressional districts. Because of the decline in media coverage of statehouses, governors frequently work their will with scant scrutiny. But make no mistake, they do work their will. Christie bragged in November, when he took over as chairman of the Republican Governors Association, that “all across America, Republican governors are doing what Washington can’t.” In hindsight, that reads like an invitation to an inquest; and even as the Bridgegate scandal exploded, there were reports that the office of the inspector general of the Department of Housing and Urban Development would investigate the use of Hurricane Sandy recovery funds to pay for New Jersey tourism ads that featured the governor and looked a lot like Christie campaign commercials. 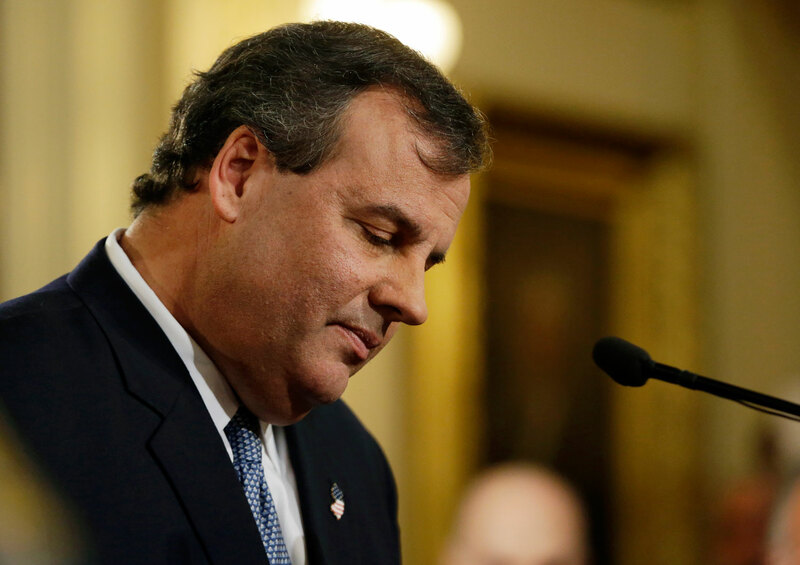 But it’s not just Christie who has used and abused a governorship for political purposes. Nor is this merely about the old-school politicization of office still practiced by governors of both parties, who routinely slap their names on signs announcing new projects and appoint underqualified retainers to top jobs. The governors who were swept into power by the “Republican wave” elections of 2009 and 2010 arrived with an expansive vision for how to use their authority, often exercised in conjunction with GOP-led legislatures, to shape a politics of reward and punishment. national conservatives and corporate interests, has fostered a take-no-prisoners political ethic. Following the lead of Christie—who’s been a favorite of conservative donors like the billionaire Koch brothers since his initial election in 2009—Republican governors elected in 2010 immediately went after the teachers, public employees and trial lawyers who were organized to defend public education, public services and the public’s right to hold corporations to account. In states like Wisconsin, Ohio and Rick Snyder’s Michigan, they attacked collective bargaining rights directly. Only the most naïve observers missed the point that this was all about politics—that in the aftermath of the Supreme Court’s Citizens United ruling in 2010, freeing corporations to spend lavishly on elections, public sector unions were among the few groups with the resources to challenge the corporate agenda and the politicians who serve it. There was an equal measure of politics in the move by Maine Governor Paul LePage to eliminate that state’s decades-old same-day voter registration law; in the steps taken by Kasich’s Ohio allies to restrict early voting; and in the broad advocacy by Republican governors for restrictive voter-ID laws and a host of other measures that used the power of government to warp electoral processes and lock in partisan advantages. Florida Governor Rick Scott repeatedly sought to purge voter rolls in a manner that the nonpartisan Citizens for Responsibility and Ethics in Washington (CREW) noted “was found to disproportionately target minority, Democratic and independent voters.” Pennsylvania’s Tom Corbett even went so far as to entertain a scheme to rig his state’s approach to the Electoral College so that a presidential candidate who lost the popular vote there—more than likely a Republican—could still get the most electoral votes. Despite the best efforts of Barbara Buono, Christie was given a pass by too many Democrats and too many pundits in his re-election campaign last year. That casual approach to questions regarding the abuse of power should not apply in 2014, as governors like Corbett, Deal, Kasich, LePage, Scott and Walker face re-election. Voters deserve a higher standard of ethics from the politicians who serve them—and an alternative to the politics of reward and revenge.